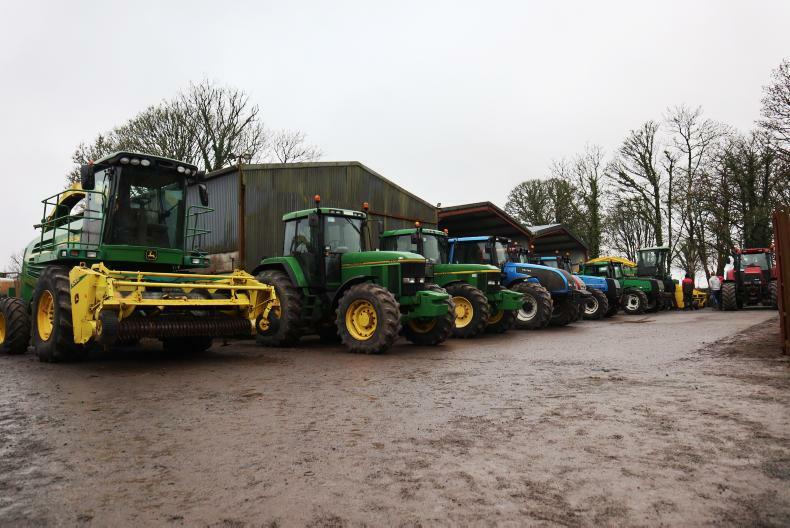 On Saturday 2 February, a clearance auction is set to take place in Creglahan, Castlerea, Co Roscommon at 11.30am. The auction is being hosted by Michael Doyle Auctions on behalf of David Connolly Agri Contractors. 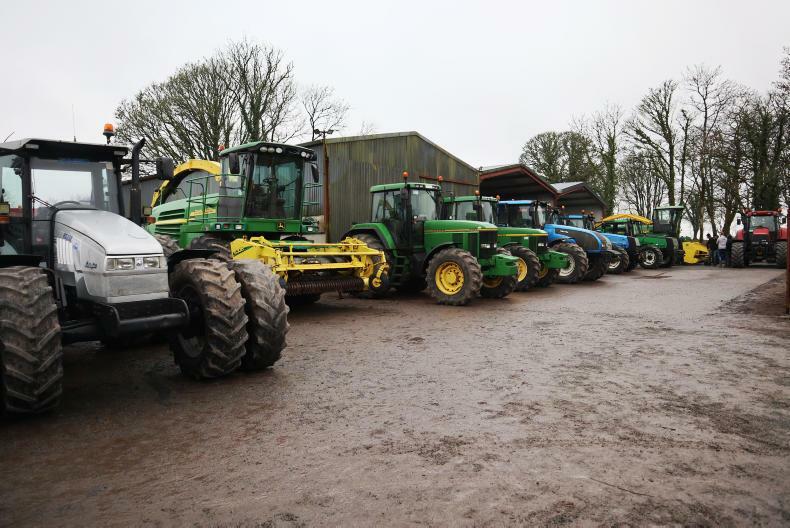 A clearance auction will take place in Creglahan, Castlerea, Co Roscommon, on Saturday 2 February at 11:30am. The auction will be hosted by Michael Doyle Auctions on behalf of David Connolly Agri Contractors. A total of 45 lots will be up for grabs. This includes two John Deere self-propelled forage harvesters, a selection of tractors, three Kane silage trailers, a selection of mowers, two dump trailers, and other farm machinery. The tractors include two John Deeres (7700 and 6910), four Valtras (8950, 8150, T130 and a T161), a Lamborghini R5-130 and a Case CVX 130. The first viewing took place last Saturday and there will be another viewing on Friday 1 February. Registration for bidding numbers will take place on Friday 1 February and on the day of the auction. 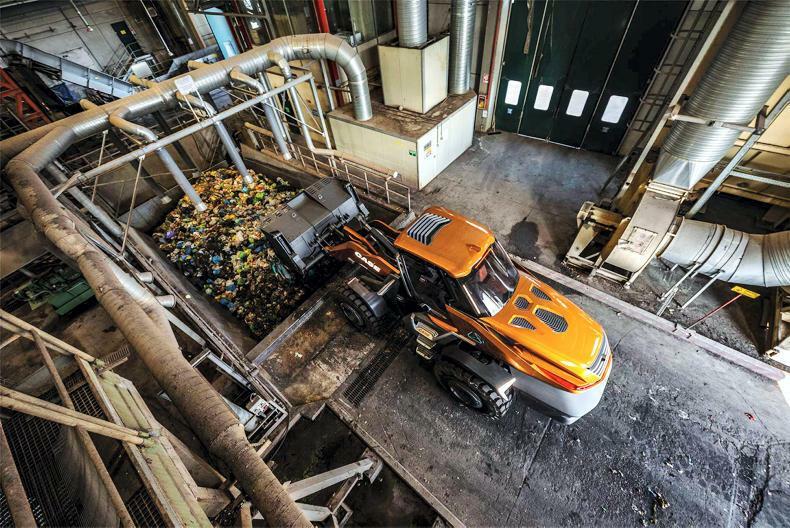 Peter Thomas Keaveney takes a look at the worlds first natural-gas powered concept wheel loader. CNH Industrial recently unveiled the world’s first natural-gas powered wheel loader, branded in the Case livery. The launch took place at the Bauma show in Germany. 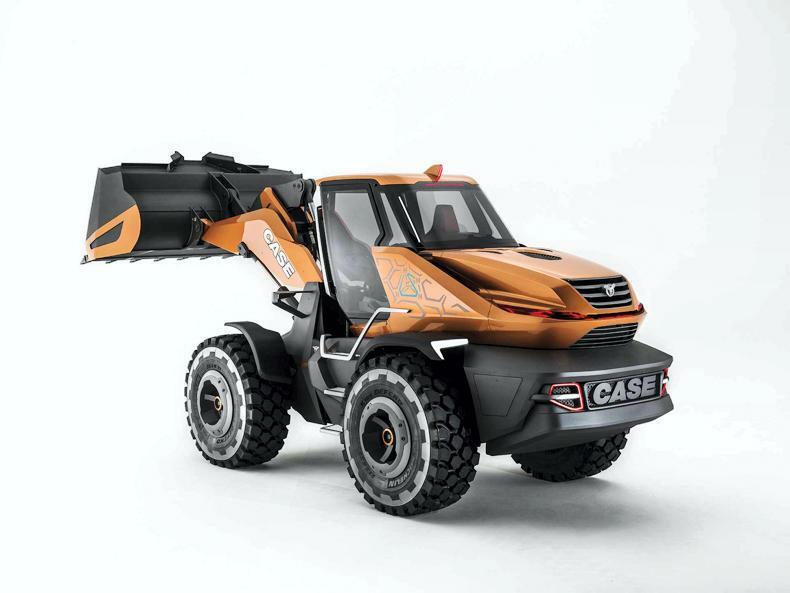 Known as project Tetra, this concept has a design like no other wheel loader. The wheel loader is powered by a six-cylinder NG engine from FPT Industrial’s NEF range. This engine has an output of 230hp and torque up to 1,184Nm, with the company claiming that it delivers the same power and torque as its equivalent diesel engine found in the Case 821G wheel loader, with a smoother and quieter drive. The NG engine has fuel savings up of to 30% in comparison to its diesel counterpart. CNH said that the methane-powered wheel loader concept produces 95% less CO2 when running on biomethane, 90% less nitrogen dioxides and 99% lower particulate matter than a diesel-powered equivalent. They added that it delivers an 80% reduction in overall emissions and also achieves a 50% reduction in drive-by noise levels. 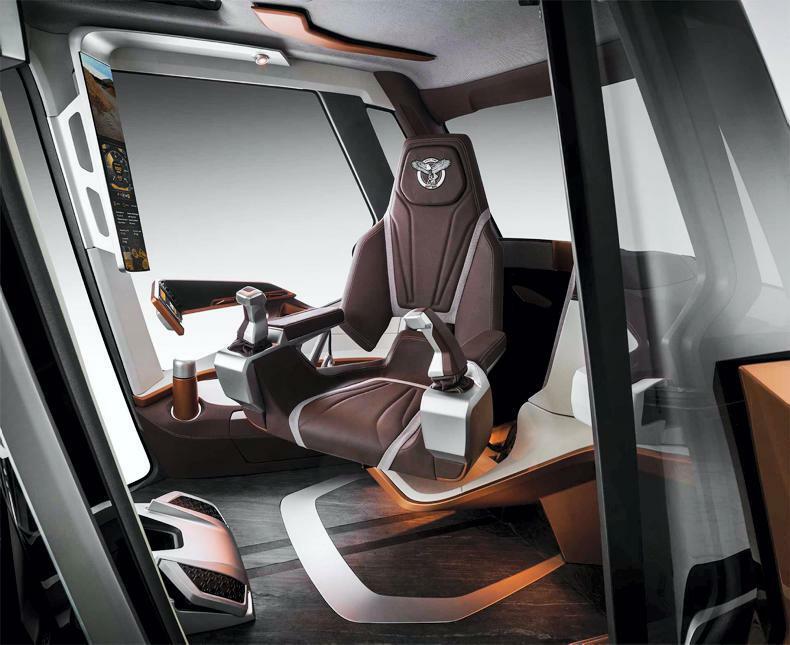 The cab encompasses wraparound glazing with a high-visibility roof panel. 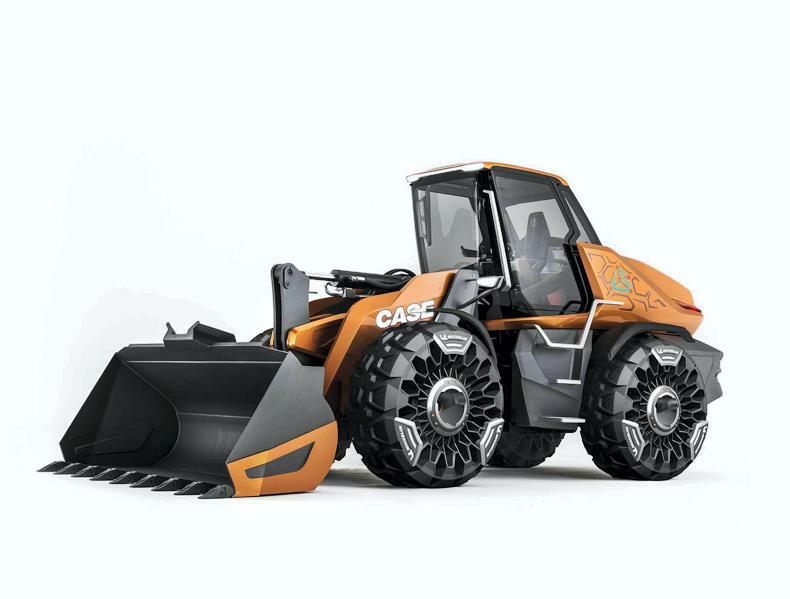 Case claims this increases the total glazed area by 16% compared to a standard wheel loader. Instead of using the traditional wing mirrors, the machine is equipped with cameras. All machine controls are accessed through two ergonomic joysticks and an integrated armrest-mounted colour touchscreen monitor. 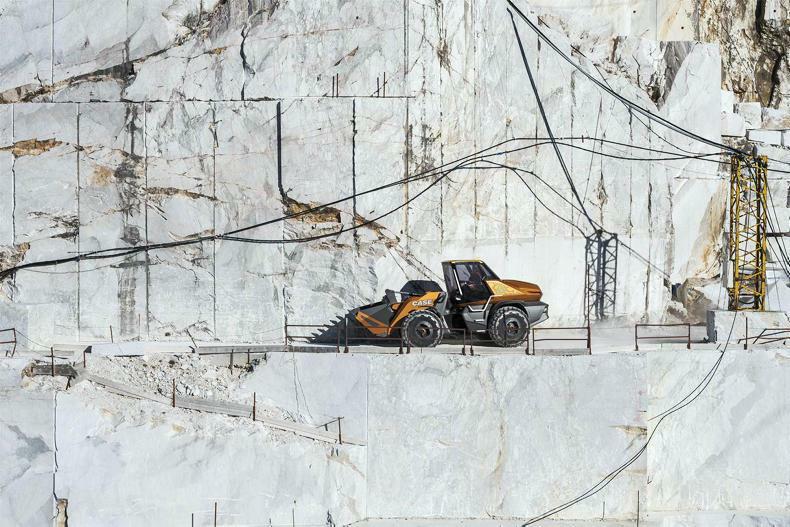 The wheel loader is sitting on four Michelin airless concept tyres. These tyres are manufactured from pure rubber and a patented composite material in a honeycomb spoke design. The tyre-wheel fusion also has a built-in suspension. The airless tyres reduce the machine’s weight. When active, the sidewall lights are illuminated and function as an additional safety feature. The level of technology on this concept machine is years ahead. The wheel loader has remote retinal scanning, accessed through any mobile device, which activates heating and cooling to adjust the cab to the optimal operating temperature. In addition, the loader also incorporates biometric facial recognition technology to access and start-up sequences. This is to ensure that only select operators have access to the machine. Another feature on the concept machine is integrated obstacle detection technology. Laois-based machinery dealer Bailey Machinery Sales Ltd has launched the new Grizzly WrapMaster into the Irish market ahead of this year’s silage season. The WrapMaster is available in a wide range of colours and specifications. 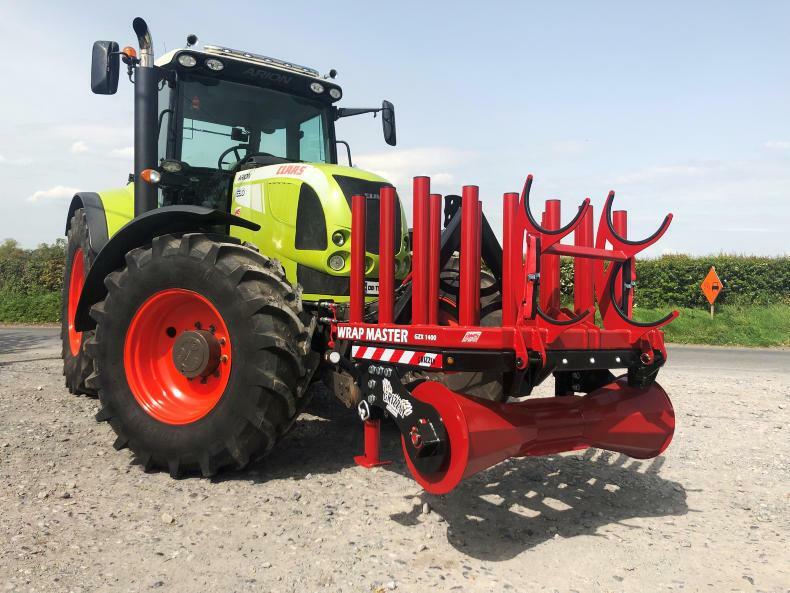 UK contractor and engineer Joe Grills designed the WrapMaster to meet the demands of modern baling contractors for increased capacity of wrap and net. The unit is manufactured from heavy-duty 80x80x5mm box section and 10mm plate. Wrap is held secure with 70mm tubes fitted to the top frame which ranges in capacities from eight to 22 rolls along with ether a single or double net carrier attachment. The entire top frame folds hydraulically, allowing the operator to remove the rolls easily. Units are available in any paint combination using 2Pac paint. LED lights are fitted as standard for added visibility on the road. Optional extras include a crop roller, A-frame attachment, strobe lights and work lights. Silox Films claims that in the Fusion it can give a 30% increase in output due to faster wrapping. 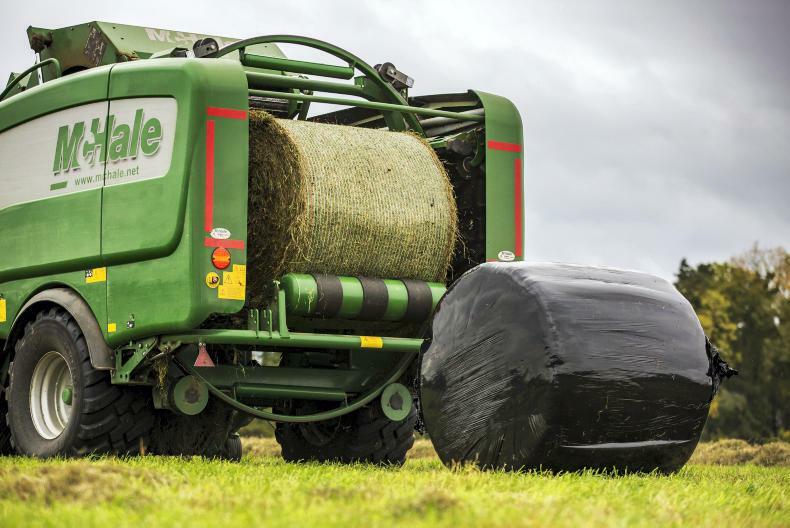 A new Irish-manufactured bale silage wrap called Silox Bale Wrap claims to provide a more cost-effective wrapping solution by reducing the number of revolutions required to wrap a bale by 50% compared with current systems. This feature claims to cut costs in terms of plastic usage, labour, fuel as well as equipment wear and tear. The manufacturer says the wrap is the strongest film on the market and claims increased bale protection from diffusion and osmosis. Silox is available in black, green and white and is Irish-manufactured by Layertite. The cost of the film is €100/roll including VAT and levy. The new bale wrap claims to be able to wrap 40 bales per 1,000m roll compared with a typical 28 bales from conventional 1,500m roll of traditional film. The bale wrap is claimed to be designed for faster wrapping, saving time in the field. The film is also claimed to be stronger to give better bale protection during transport after wrapping. The film can be used with conventional single- or double-arm wrappers as well as combination balers such as the McHale Fusion, where it has been tested. Philip Doran of Silox Films claims that in the Fusion, it can give a 30% increase in output due to faster wrapping. Philip Doran of Silox Films Layertite told the Irish Farmers Journal that he has appointed a number of agents including Kerry Agribusiness for the Kerry, west Cork and Clare regions. Silox is also on offer to members of the Association of Farm & Forestry Contractors in Ireland (FCI) at competitive bulk order rates.